Evelyn's Park Teen Ambassadors celebrating a successful project. 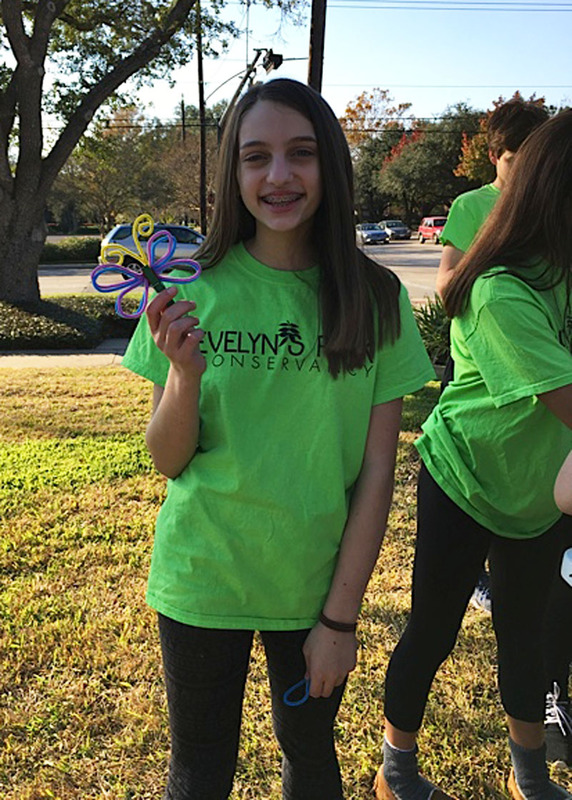 During the annual Holiday in the Park in Bellaire, representatives from Evelyn’s Park were on hand getting kids engaged in a park art project. 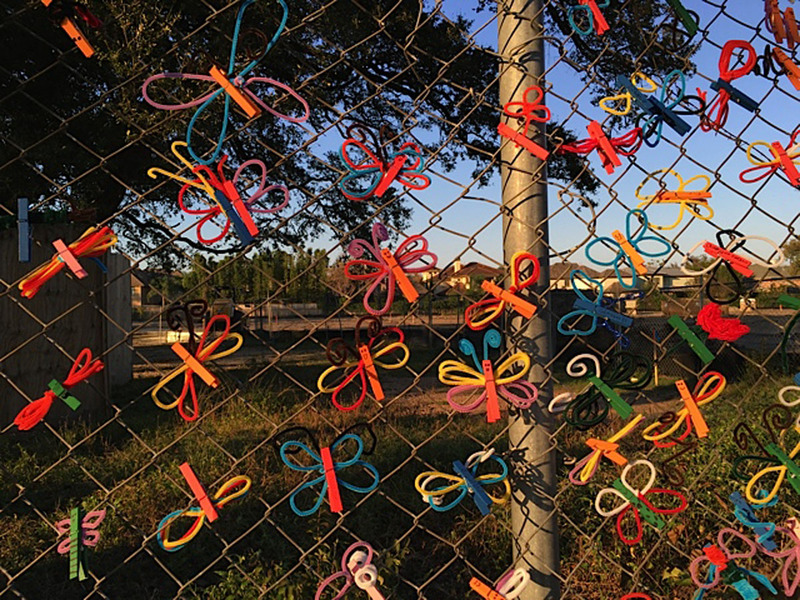 They created colorful bugs and butterflies to hang on the construction fencing outside of the park. 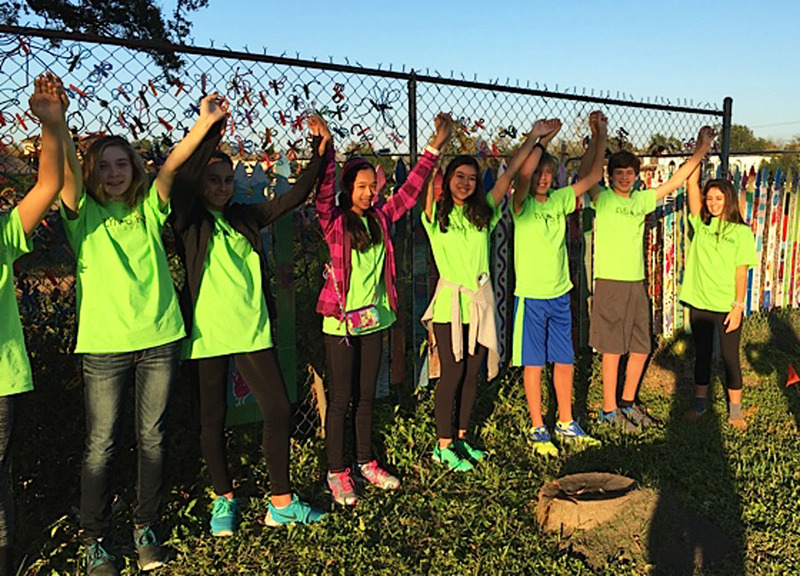 Then, Evelyn’s Park Teen Ambassadors completed the project and placed them on the fence. The butterfly art coincides with one of the donor recognition opportunities in the park that can be personalized, and is a fun way to help even the youngest park visitors feel that they have left their mark on the park. 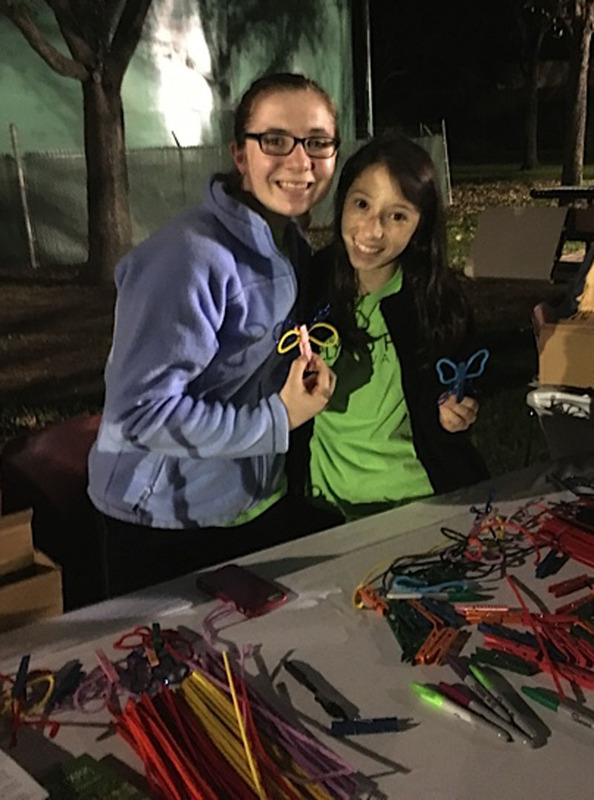 The end result of the creative art project with kids at Bellaire's Holiday in the Park.